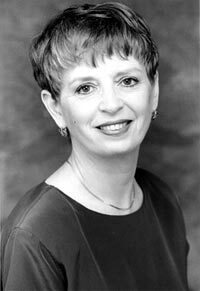 Francia Russel is the artistic director of the Pacific Northwest Ballet and the director of the ballet school under this company. She was born in Los-Angeles. In her younger days she lived in San Francisco, London and Nice. Her dance teachers were Felia Dubrovskaya, Antonina Tumakovskaya, Vera Volkova, Robert Joffrey and George Balanchine. In 1956 she joined New York City Ballet where three years after she became a soloist. In 1964 she became a ballet-mistress at this company. She performed with the Jerome Robbins? company. In the 70-ies, she was a guest ballet-mistress at many famous European ballet companies. In 1975-1977 she together with Kent Stowell was the artistic director of the Frankfurt Ballet. She did more then one hundred ballets in the U. S. and in Europe. In 1987 Francia Russel prepared the first nights of ballets by Balanchine on the Chinese stage in Shanghai. She was also the first to dance ballets by Ballanchine on the Russian stage in the season 1988/89 at the Kirov Opera House in Leningrad. The ballet school under the Pacific Northwest Ballet, under her directorship, became a leading American professional school of such type. Almost half of the members of her company are graduates of this school. In 1988 she initiated the changes in the curriculum for training professional dancers and received the position of the professor of the Dance Department of Washington University. Francia Russell is a member of the American Council of Dance. She takes an active part in the work of the National Endowment for the Arts. In 1989 she received the artistic premium of the governor of the state of Washington, and together with Kent Stowell the prestigious prize of the monthly Dance Magazine awarded to outstanding representatives of the art of dance for special achievements in this area.